Express Healthcare invites CXOs of hospital chains, medical directors, owners/ promoters of hospitals and diagnostic centres, consultants, thought leaders, industry stalwarts and domain experts to congregate at India’s largest private sector business summit to prepare a blueprint based on values that will make healthcare organisations successful both in terms of profitability and goodwill. The first two editions of Healthcare Senate held in Hyderabad served an excellent platform for thought leaders, key decision makers, investors and budget holders to share and exchange strategies that are relevant to the fast changing healthcare environment as well as helpful in running sustainable, responsible and profitable businesses in India. All stakeholders therefore, came together to share their insights on business models that will work for India. The first edition focussed on ‘Value-based healthcare delivery’, while the second edition was ‘Building a future ready healthcare sector for India’. Taking these discussions further and in keeping with the rapidly changing healthcare business environment, Healthcare Senate’s 3rd edition, scheduled in July 2018, will focus on ‘Strengthening Values for Sustainable Growth’. The summit and its discussion will emphasise on inculcating the below mentioned core values that will lead healthcare business to create value for all. Integrity: There are no moral shortcuts in the game of business or life. It is the true mark of leadership and so healthcare organisations who wish for sustainable growth will have to instill this principle in all their business dealings; be it patients, employees or partners. Healthcare organisations which operate with integrity and honesty earn immense brand value. 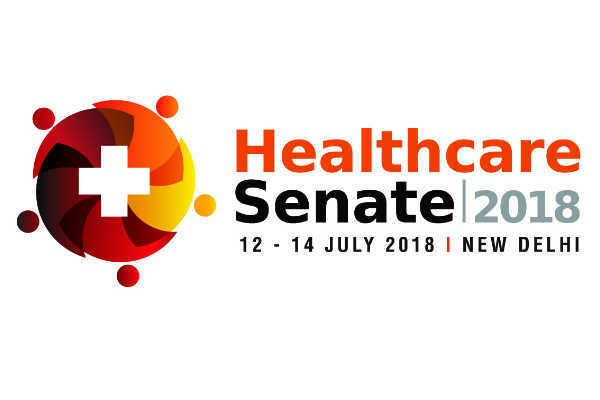 At Healthcare Senate 2018 industry stalwarts will share their stories of success which speak of goodwill and profitability earned through integrity and honesty in business. Accountability: This is a virtue that healthcare organisations cannot overlook. Accountability entails the procedures and processes by which healthcare providers justify and take responsibility for their activities. Lack of accountability in healthcare therefore, can cause significant damage to organisations. It can erode quality of care, ruin an organisation’s reputation, and increase the risk of lawsuits. Experts, in their discussion, will deliberate on ways and means to improve accountability of care. Quality: Quality in healthcare should be more than making the best product or providing the best service. It should extend to every aspect of the business function. A company that recognises quality and strives for it daily has a profound sense of self-respect, pride in accomplishment, and attentiveness that positively affects every aspect of its business. At the conference, healthcare quality experts will share insights on how striving for quality facilitates organisations to improve efficiency and achieve profitable in the long run. Innovation driven: Industry leaders will explain how innovative companies deliver a consistent stream of market successes via successful businesses and products/services or improved processes that continuously translate market success into economic value. These companies enjoy a competitive advantage and achieve sustained growth. Adaptability: With changing business dynamics the challenge that healthcare organisations face is keeping pace with these changes. Organisations which can roll with change and still perform well are prime time players and will enjoy sustainable growth. The event will bring forth case studies of such companies which have gracefully accepted change and gained better outcomes. Strategic Partner Relationships: No business is successful if it is not built on values forged and strengthened by strategic partnerships. Here, experts will highlight the essentiality of striking sustainable partnerships which can help companies gain competitive advantage and credibility. CEO Round table: Business culture: Why core values matter? On the side lines of Healthcare Senate 2018, Express Healthcare will also be hosting Radiology and Imaging conclave and the the Healthcare IT Senate. Both these knowledge platforms will gathers experts from the field of radiology and It to share in depth knowledge on the Future of radiology and the healthcare IT.